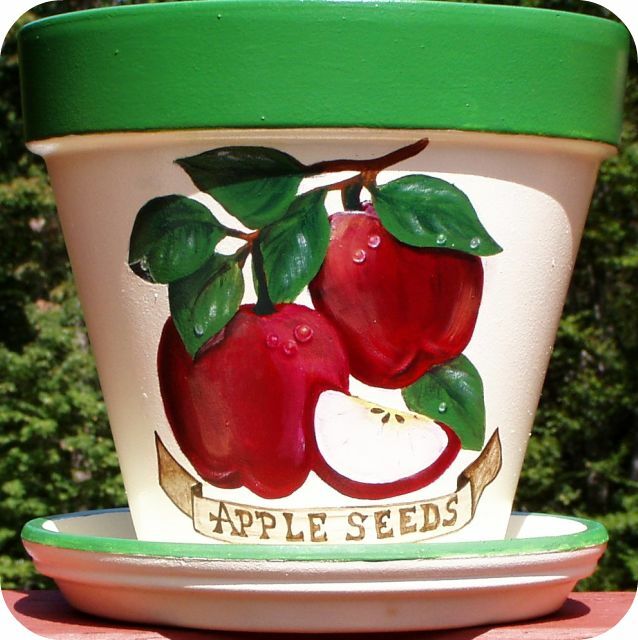 Terra cotta planters are standard sizes. 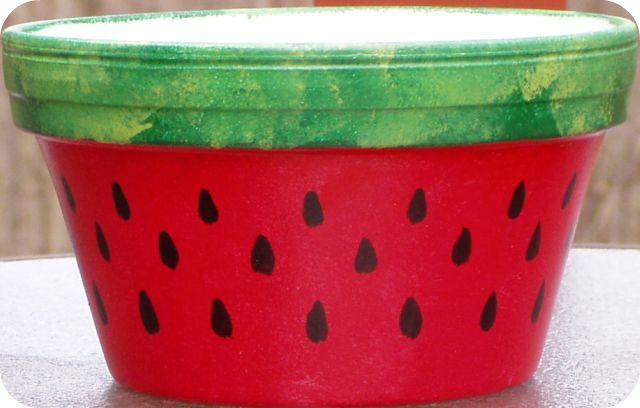 Sizes indicate diameter at top of rim. 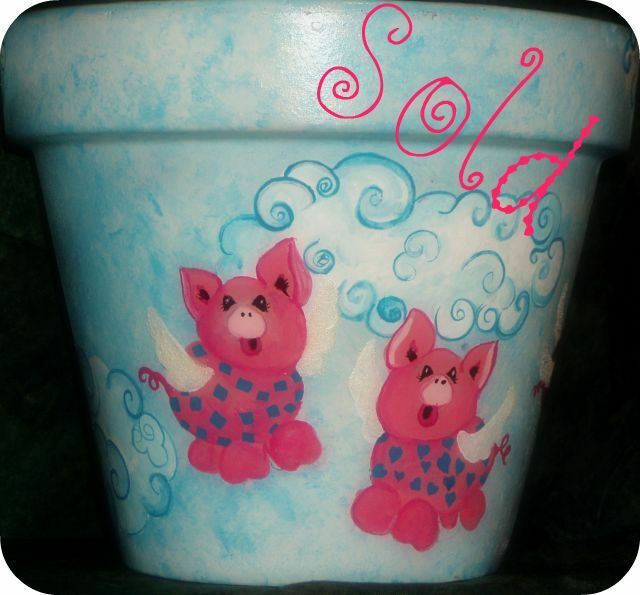 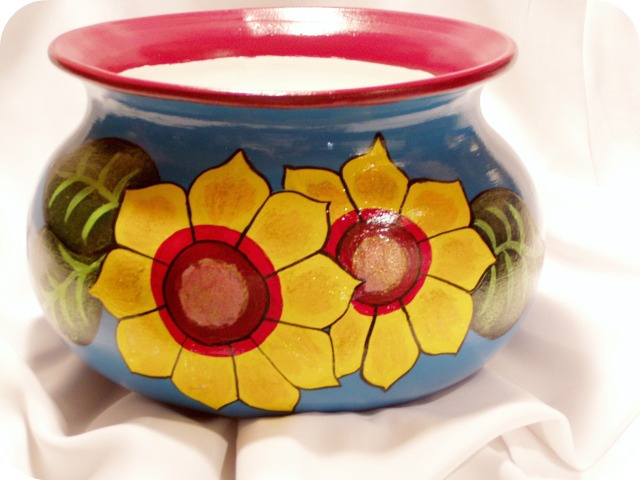 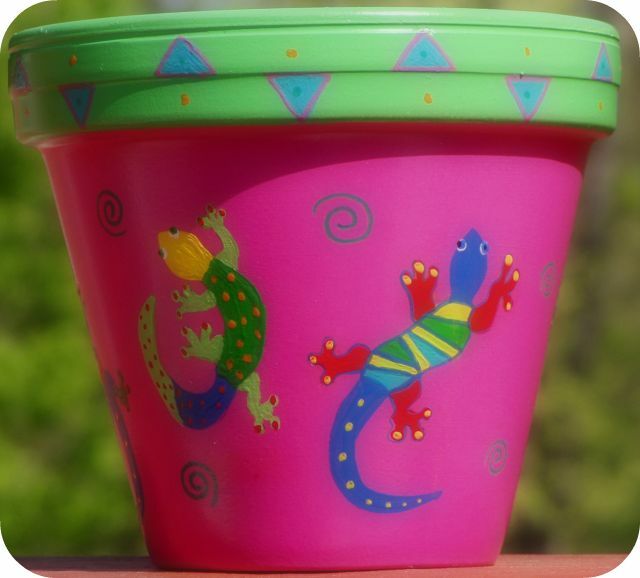 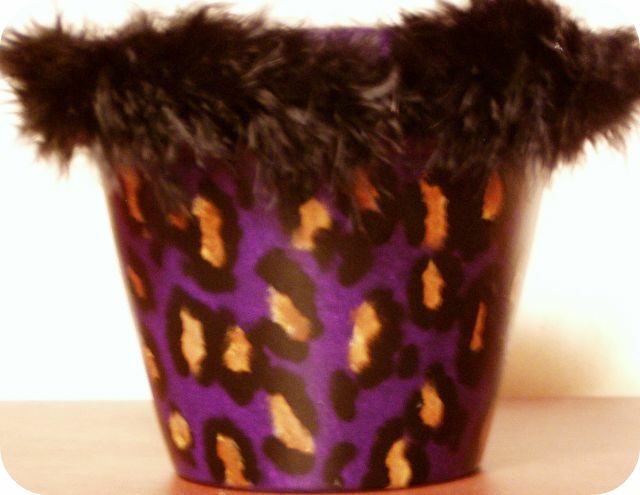 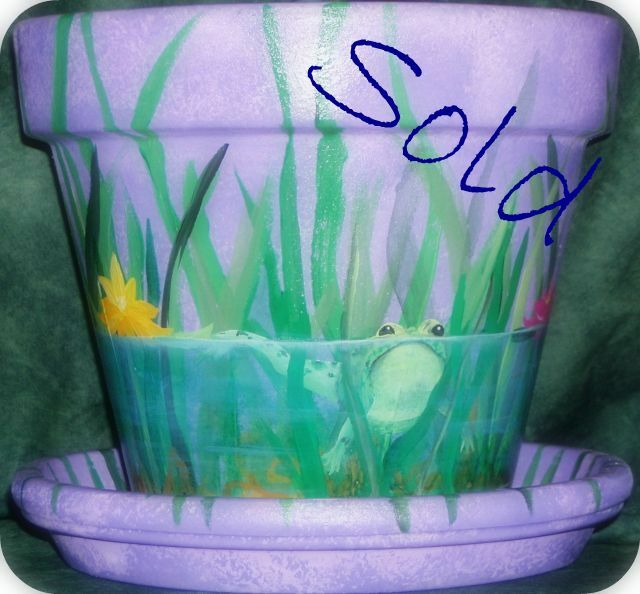 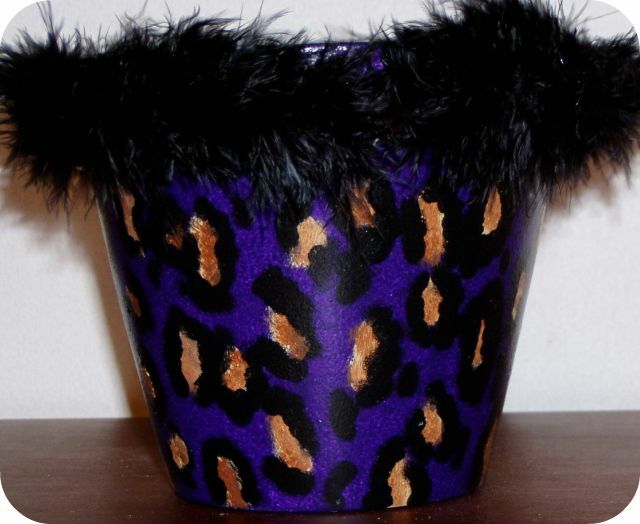 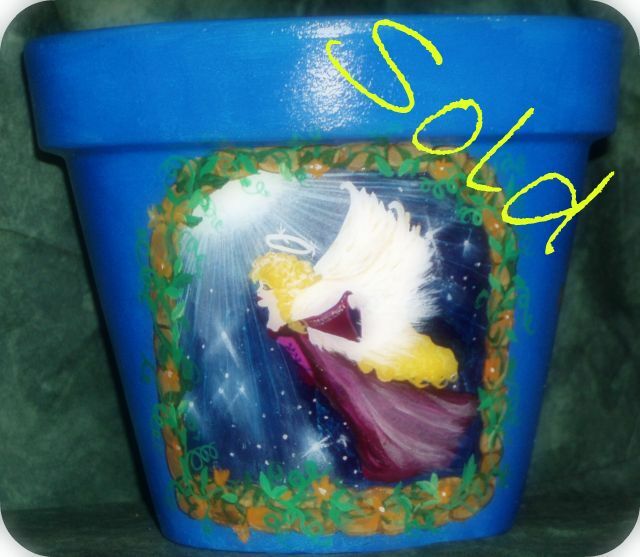 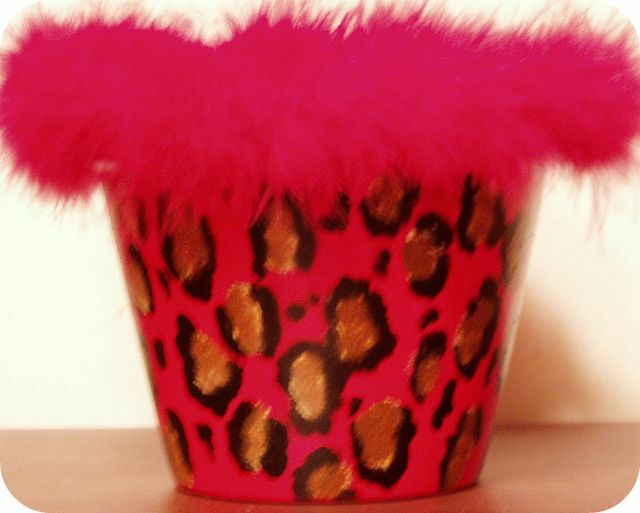 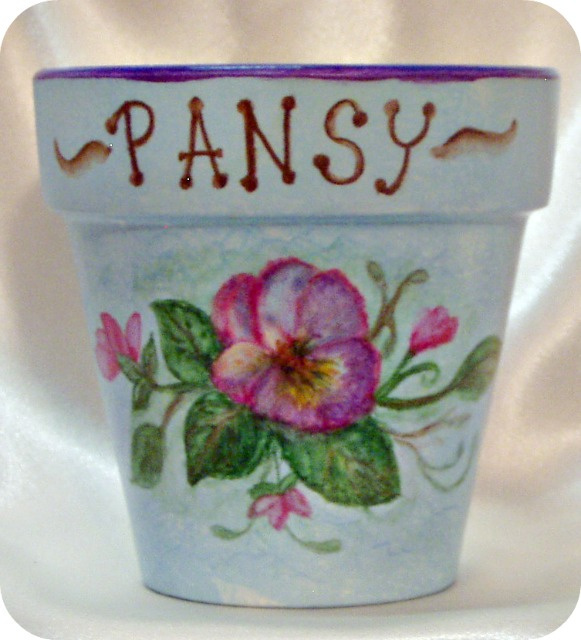 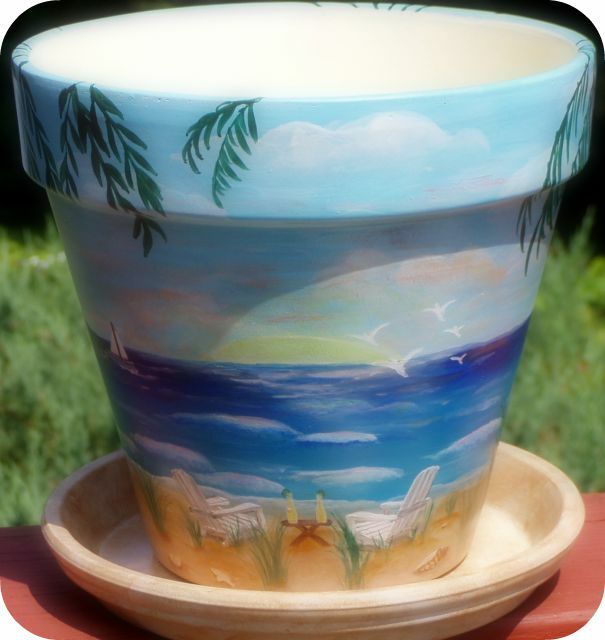 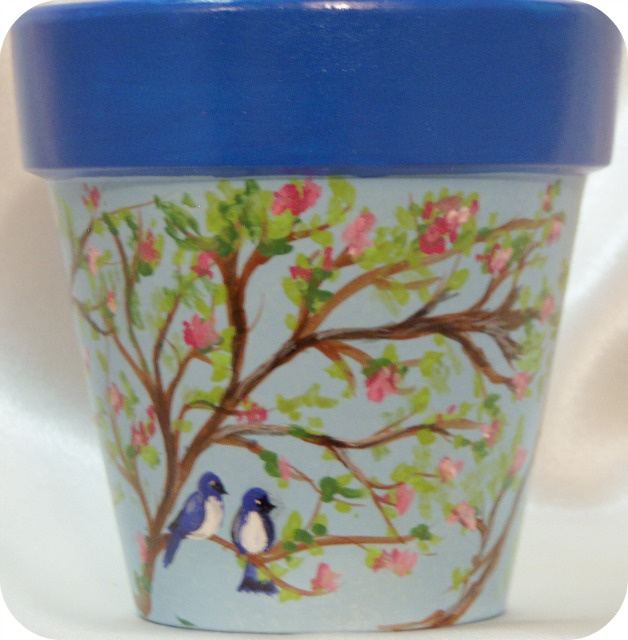 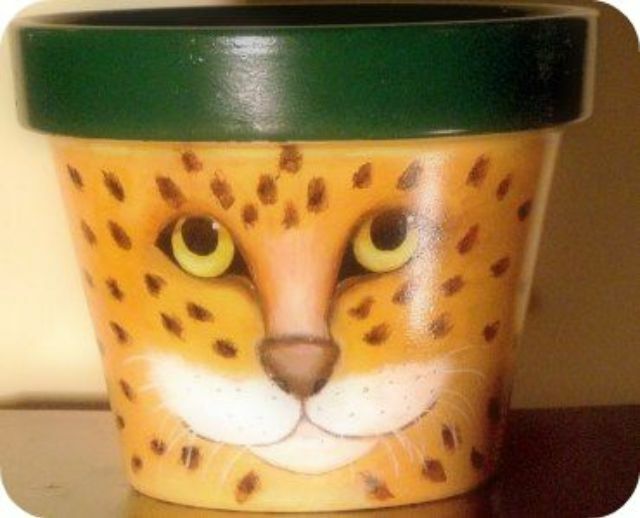 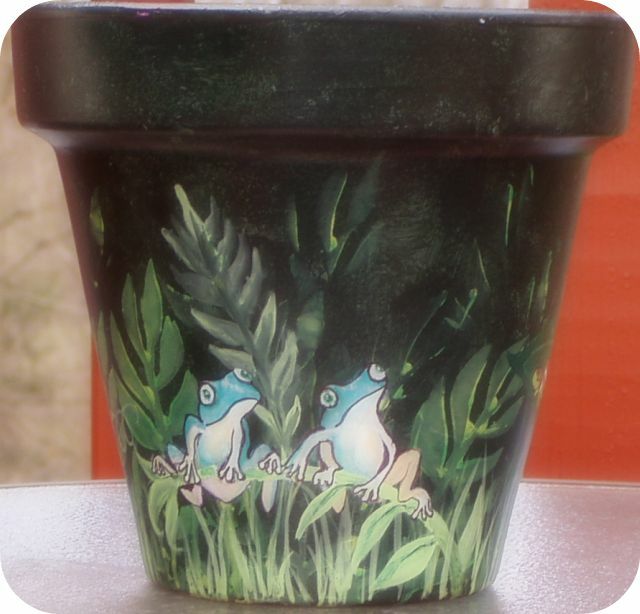 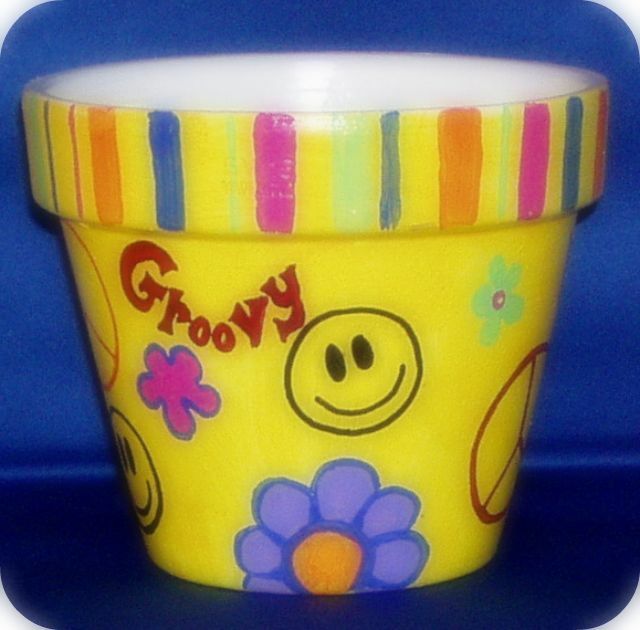 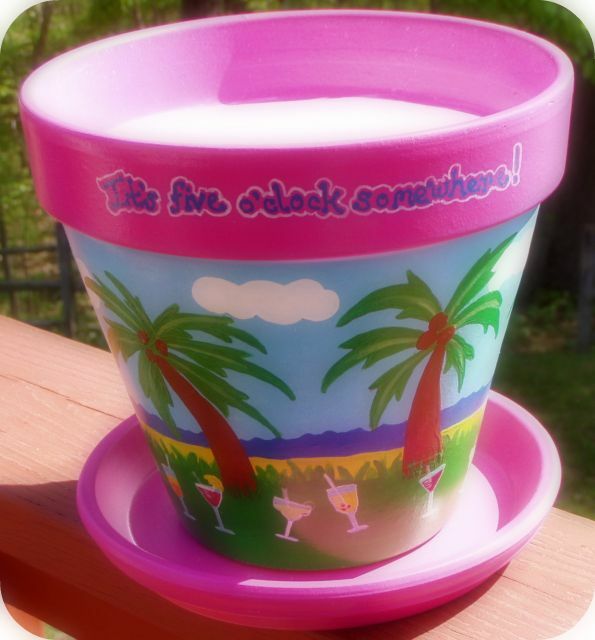 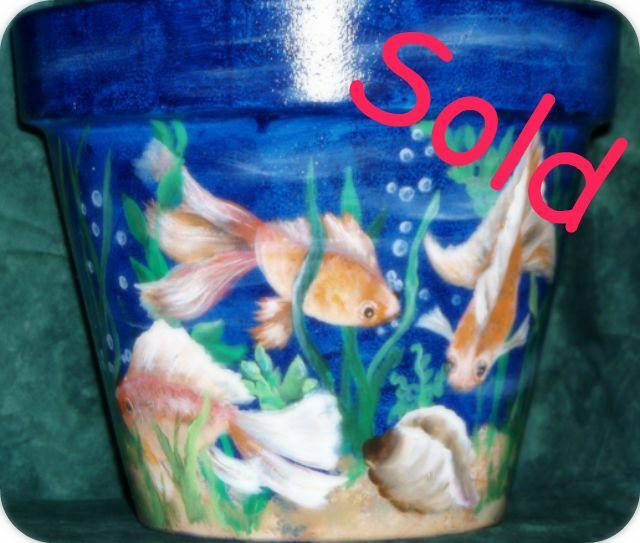 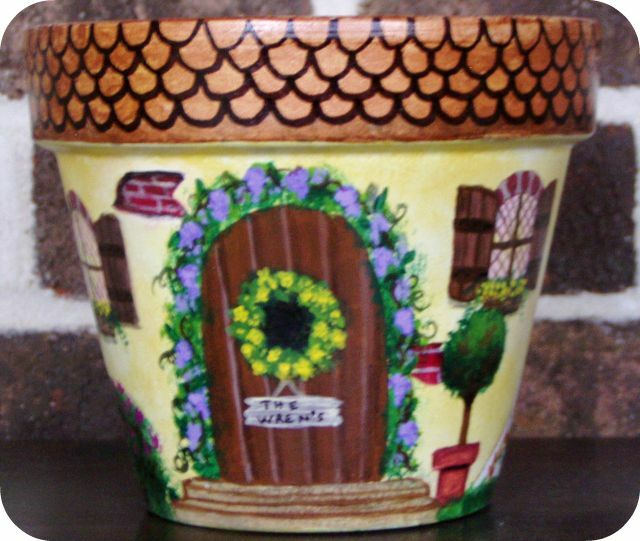 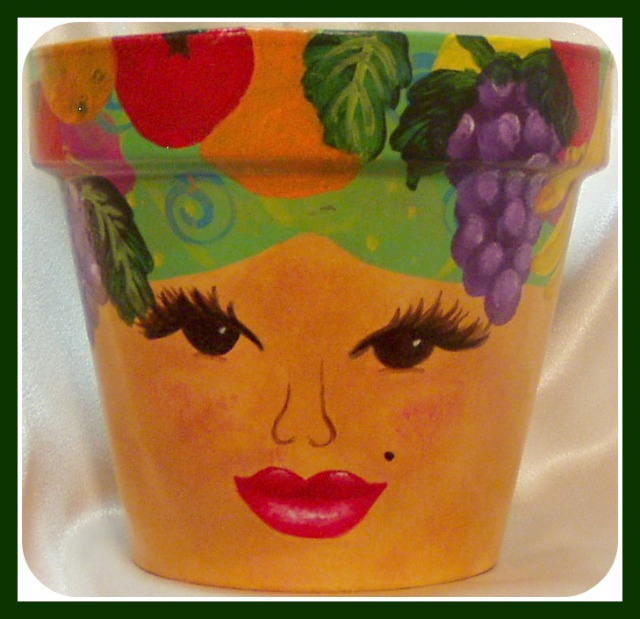 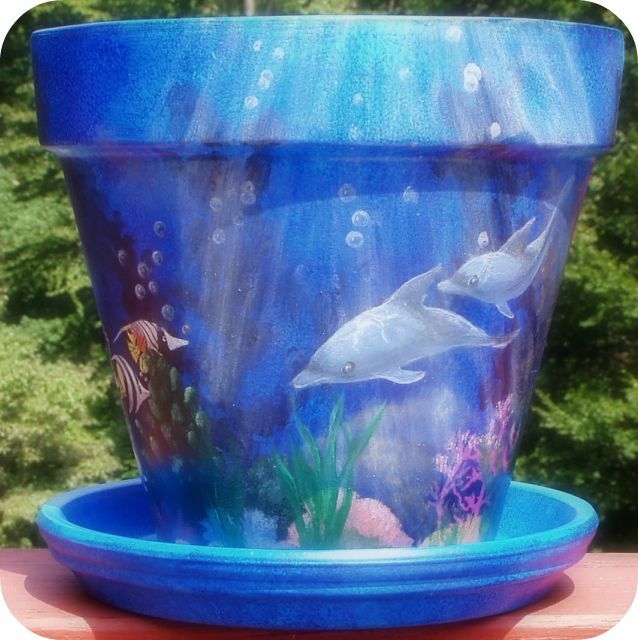 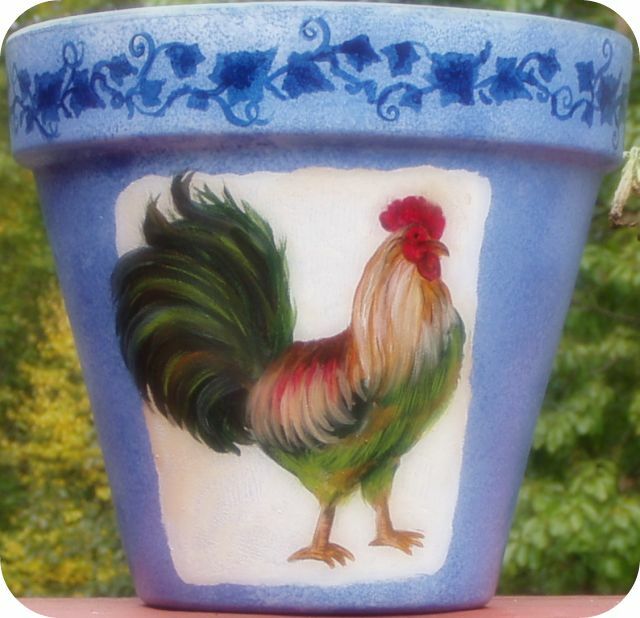 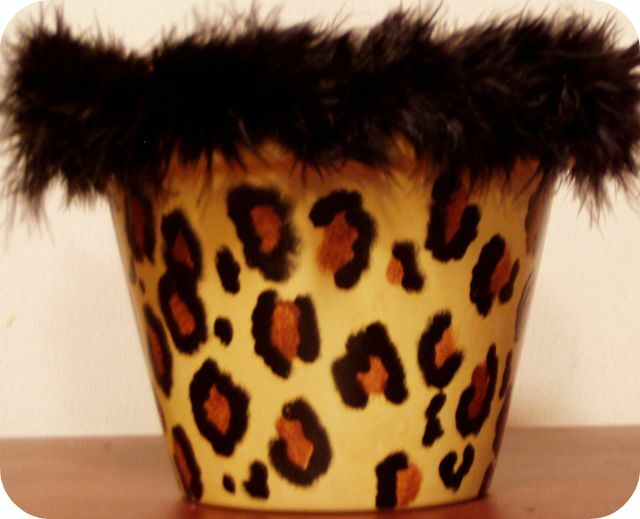 As with all of my items, Terra cotta planters are hand painted by me, from beginning to end and are one of a kind. 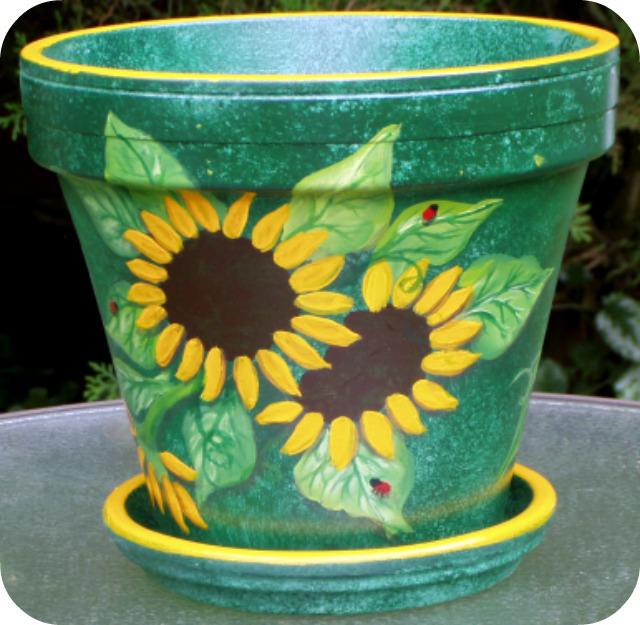 Planters are sealed inside and out and are suitable for outdoor use. 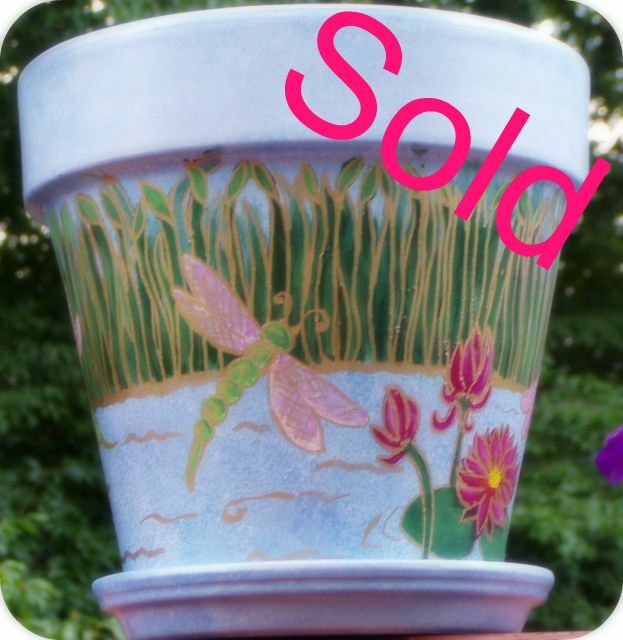 If you have a special design you would like, please e-mail me or check out the custom orders tab for more information. 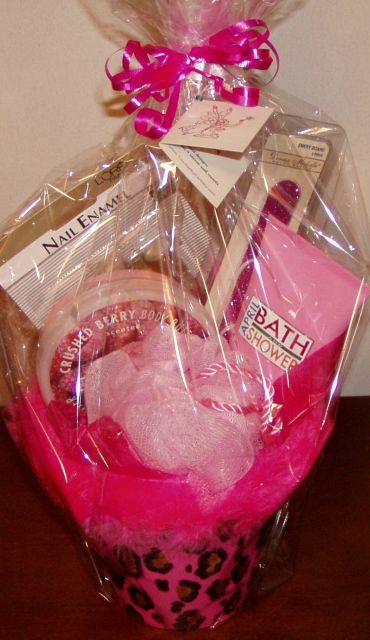 Free gift wrapping available at your request! 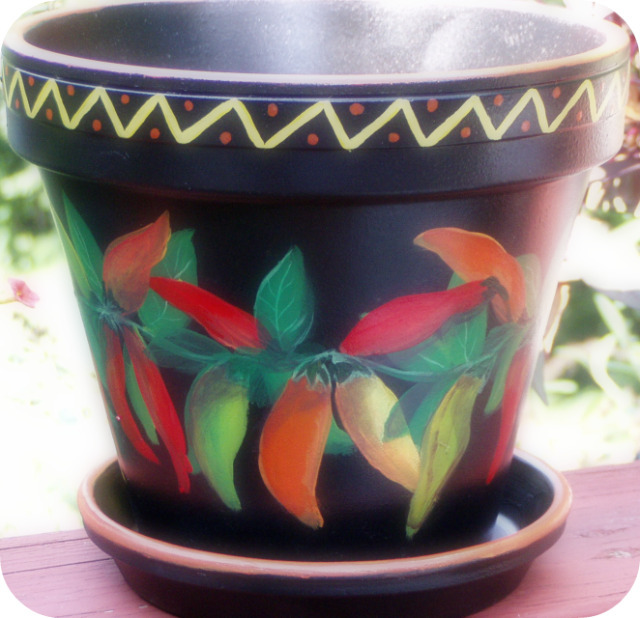 Siesta Fantasy- 10 1/2" X 6 1/2"
All terra cotta garden planters are sanded to remove sharp edges prior to basecoating. 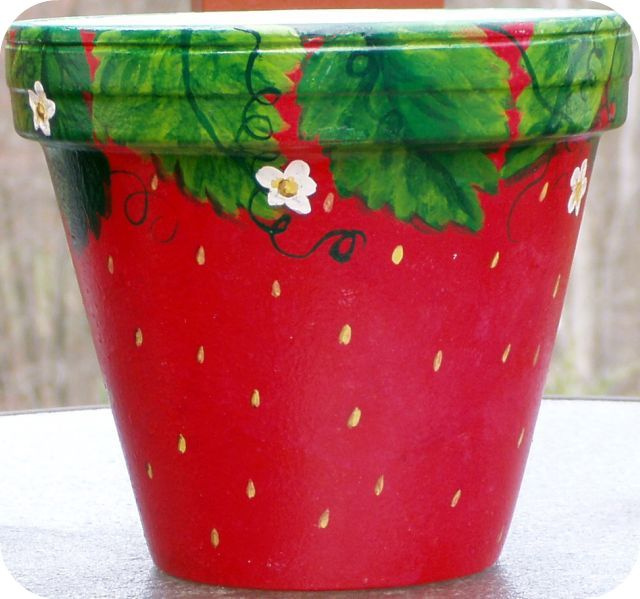 After design is painted, planters are sealed with two coats of clear sealer (inside and out) to protect against the elements. 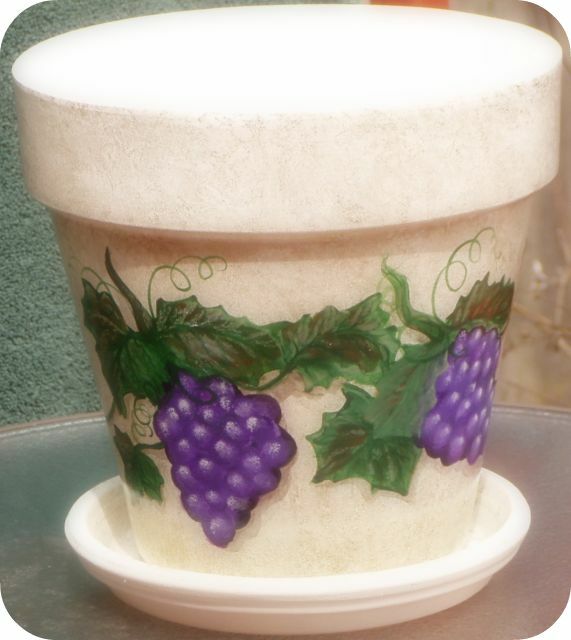 Planters are suitable for direct planting of live plants. 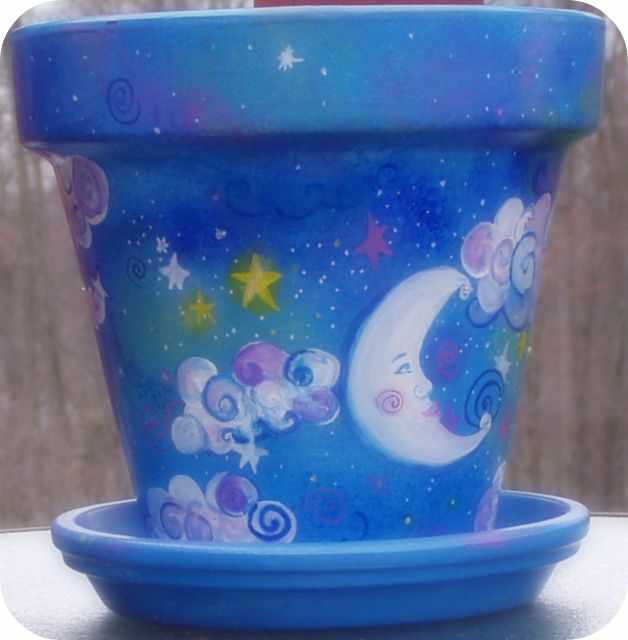 Please bring planters indoors when weather turns freezing in your area—this will prevent them from cracking or breaking during the winter. 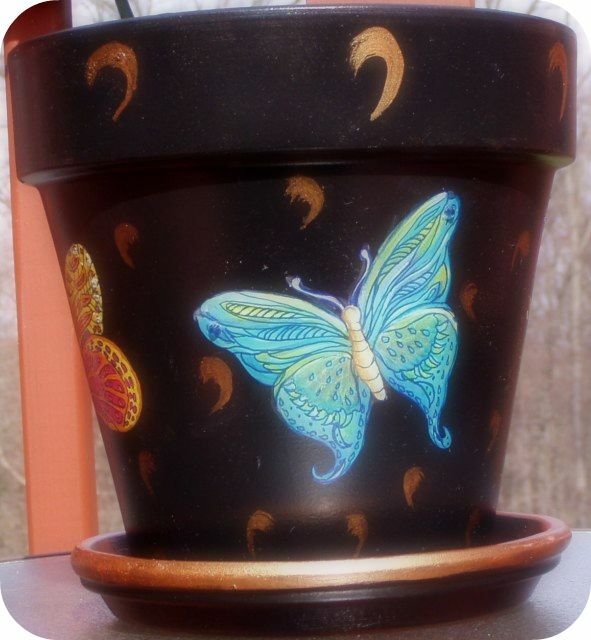 See the "Fun with planters" tab for more great uses for terra cotta planters.